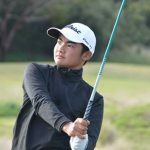 Rangiora’s Kazuma Kobori doubled up at the 2019 Lamb & Hayward Canterbury Strokeplay yesterday at Pegasus Golf Club when he won the men’s title to go with his recent Southland Strokeplay victory. 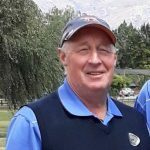 He is odds-on favourite to complete the trifecta when he plays in the Otago Strokeplay this weekend, and will collect the major spoils from the House of Travel Tour Championship than runs across all three tournaments. Kazuma really won the championship on Saturday when he had fine rounds of 67 and 68 to give himself a five shot lead. The afternoon round in a stiff nor-wester was particularly impressive as most of his rivals struggled. All he needed was a 73 on Sunday in the 54 hole event to cruise home with a three shot victory. His closest rivals were Nic Kay and Reid Hilton. Nic will rue his second round 81 after he had shot a course record 64 (off the blue tees) in the morning. He closed with the best third round score of 66 but it was not enough to round up Kobori. Nic spoke of his recent lack of tournament play contributing to his second round score. Reid Hilton was solid with rounds of 68, 73, and 70. Tied for fourth were Hayato Miya, Josh Smith and David Kelly. In the end it was Kazuma’s consistent ball striking and error-free golf that won the day. He has carried on the form from representing Canterbury prior to Xmas in the NZ Interprovincial, and as he adds more power to his game, will be an even greater force to be reckoned with as he moves through to more national honours. He also won the Ron Clements Memorial Cup for best U19 male. The women’s championship turned into a two horse race between Juliana Hung and Roun Lee. They were tied after 36 holes and had a close battle throughout the final round. The pivotal hole was probably their 9th hole when Juliana made an uncharacteristic mistake off the tee on the par 5 18th and ended with a bogey while Lee made birdie. The two shot swing provided momentum for Lee and she would eventually finished two shots ahead of Hung. Rion Ishikawa finished 10 shots from the winner in third place. 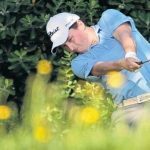 In the Men’s Masters, Anton Fouchee overcame a three shot deficit after 36 holes to shot the best third round score and win by two strokes. 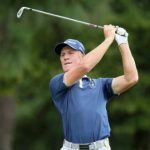 Aaron Forsyth lead the championship going into the final round but couldn’t finish off, leaking shots over the last nine holes to eventually finish third. Veteran Marty Holman put up a fine showing finishing second to Fouchee. 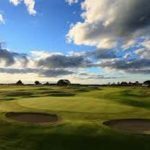 Waitikiri greenkeeper Naomi Wallace was a runaway winner of the Women’s Masters Championship by 12 shots from Suzetter Eastmond and Kate Turner who tied second. Her first round of 72 was the springboard for the win. Players enjoyed fine sunny conditions on a well manicured Pegasus course, with a stiff norwester and easterly breeze keeping them honest.